Digital Photography Café - 052: Happy Anniversary To Us! Digital Photography Cafe – 052: Happy Anniversary To Us! Digital Photography Café is celebrating our one year anniversary with episode 52. This week we recap the year, have a few big announcements and talk about where we’re heading in the future. We hope you’ve enjoyed the show over the last year as much as we have. We would like to welcome our newest sponsor to the show DaisyGrip.com. 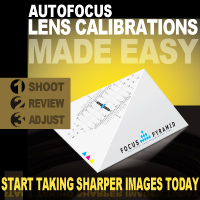 They make a really great tool to aid in capturing a child’s smile. Swing by their website to check out their offerings. Be sure to use this link http://DaisyGrip.com/dpc to receive a special listener only offer. Also, don’t forget to enter the DaisyGrip iPad Giveaway we’re running. Enter to Win a New iPad from DaisyGrip! « Enter to Win a New iPad From DaisyGrip!